When brand of the moment Vetements revealed it was set to collaborate with 18 (!) other brands for its spring 2017 show last year, we were more than a little excited. Then, when Creative Director Demna Gvasalia finally unveiled the aforementioned collection, our minds were blown—and not just because one of the brands featured was Juicy Couture. No, the standout pieces for us, and many other onlookers, were the incredible pairs of waist-high boots, created in partnership with Manolo Blahnik. While there was some debate over how wearable they might be IRL (if you aren't Rihanna), these super boots went on sale exclusively on Net-a-Porter.com this morning and sold out in mere hours. 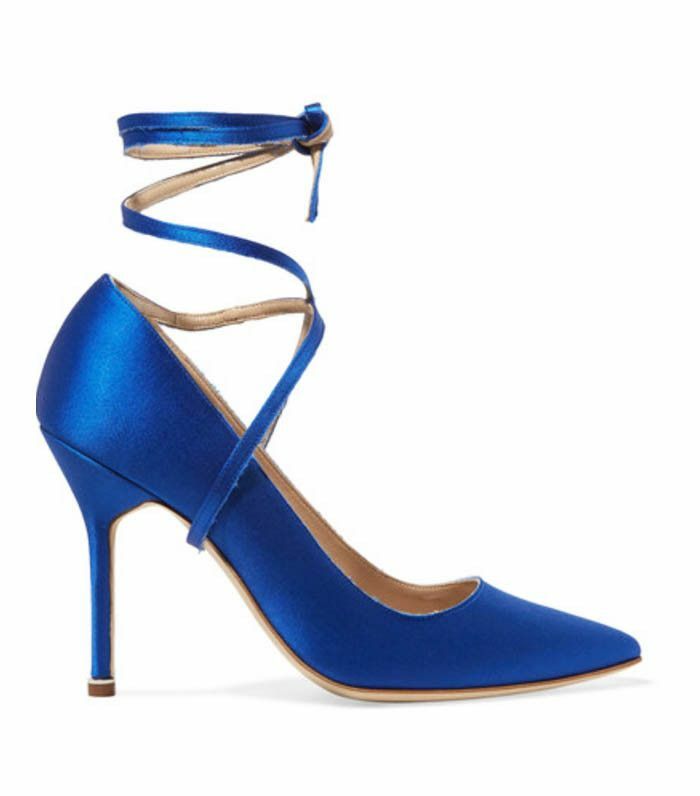 The £3190 hip-grazing boots might have already sold out, but there are a number of pieces from the collection still available (if you move quickly), including the perfect pair of pink satin slingbacks and blue satin pumps with ties around the ankle. Keep scrolling to shop the Manolo Blahnik x Vetements collaboration. For more must-have designer footwear, check out the 12 It shoes you're about to see everywhere.